​​​​​​​​Summer Break is daunting for many kids in our community. There are kids in every school in NKY that rely on the Free & Reduced Lunch Program for meals during the school year. When school ends, so does their primary food source. 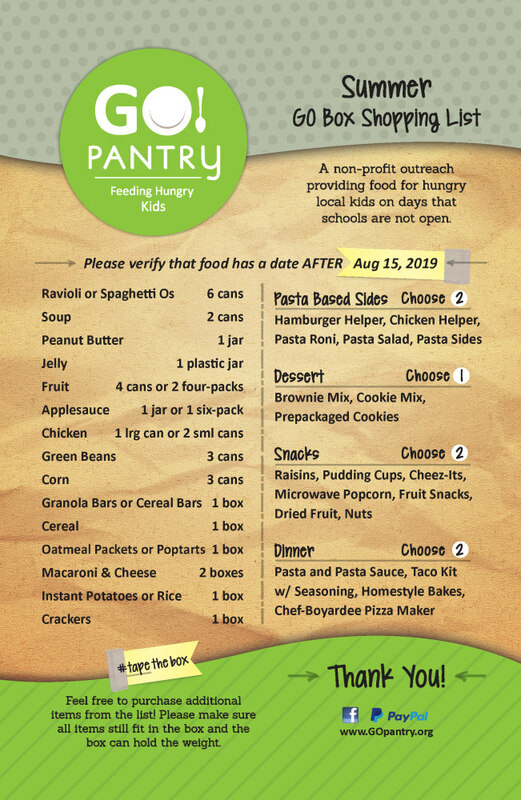 With your help, GO Pantry is able to provide emergency food relief to NKY students who might otherwise go without. We are asking for help to fill 2,100 GO Boxes! These GO Boxes of basic food items will help kids and their families get through the long summer months. Here is how it works. It’s as easy as 1, 2, 3.